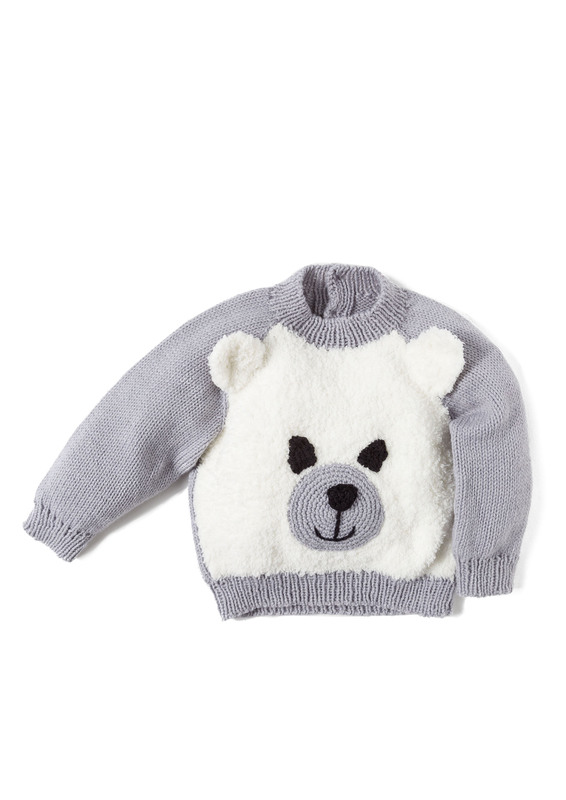 Babies love teddy bears, so keep a bear extra close, on the front of your child’s pullover. Classic raglan construction has a button placket in the back neckline for easy dressing. Knit of Baby Smiles Super Soft, with the cuddly, terry cloth like texture of Baby Smiles Lenja Soft for the bear, and Baby Smiles Bravo baby for the details of the face. All Baby Smiles yarns are extra soft on your baby’s skin, chemical free and easy care. In six sizes to fit babies from 3 months to 2 years old. Adorable fashion and accessories for your baby, in all the comfort of Baby Smiles yarns.